Whether you’ve been a company driver for decades or just earned your CDL, you’ve probably thought about what it would be like to be an owner-operator. Setting your own schedule, owning your own truck, running your own business…sounds great, right? But what does it really take to become an owner-operator? It’s not easy, but it’s doable. What Are the Types of Owner-Operator? Leased Owner-Operators – This type of owner-operator has a contract with a carrier agreeing to haul the company’s secured loads. Independent Owner-Operators – This type of owner-operator is not contracted with any particular carrier. They secure and haul their own loads. Which is better? It depends. Both options can provide profitable trucking careers, but each has pros and cons. 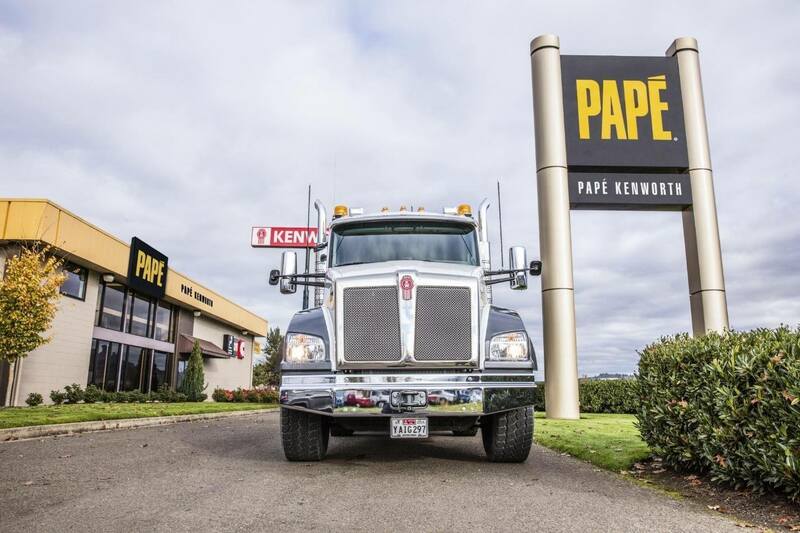 If you are organized and have the type of personality that can handle the ups and downs of running your own business, you can be successful as an independent owner-operator. If you prefer to drive and let someone else handle the load schedules, you can still make a good living as a leased owner-operator. What Do You Need to Become an Owner-Operator? So, how do you become an owner-operator? Let’s go over the things you’ll need and the steps you’ll have to take. Step 1 – Earn your CDL – If you haven’t already passed your Department of Transportation physical, taken the knowledge test, acquired your permit, and passed your CDL skills test, stop right here. You need your CDL before you do anything else. Step 2 – Draw up a business plan – As fun as it might be to go shopping for a rig of your own, slow down, you need to write a comprehensive and detailed business plan first. Include the following: how you will operate, if you plan to lease on or be independent, how you plan to find work, and a detailed list of what your revenue and expenses will be. Step 3 – Apply for an Employer ID Number (EIN) with the IRS - Use Form SS-4 to apply for an EIN. Once you have that number assigned to you, open a business checking account. Step 4 – Speak with a lawyer or tax professional – A lawyer or tax professional can help you decide how to structure your business as a sole-proprietorship, S-corporation, or an LLC. Most owner-operators are registered as sole-proprietors, but there are advantages to each option. Step 5 – Raise your start-up costs – If you don’t have funds saved up to start this venture, you’ll need to raise the capital. Plan to cover the down payment for your truck (and trailer if you will be operating independently) and at least six months of expected costs including monthly truck payments. Step 6 – Get insured to comply with state and federal regulations - You’ll need to secure liability, cargo, physical damage, and non-trucking use insurance. This is also a good time to get your USDOT number, operating authority, and any other federal and state regulation requirements that apply to your business. Step 7 – Shop for a truck (and a trailer) – Depending on your financial situation, you may be looking at financing or leasing a new truck or purchasing or financing a used truck. Either way, you’ll want to work with a reputable dealer. Once you’ve found the one and secured financing, it’s time to cut a check. Becoming an owner-operator has a lot of benefits, but it’s not for everyone. Be sure to carefully weigh the pros and cons before make any career altering decisions. If you do decide you’d like to own your own truck and operate under your own authority, the steps above will help you get started. Best of luck to you!